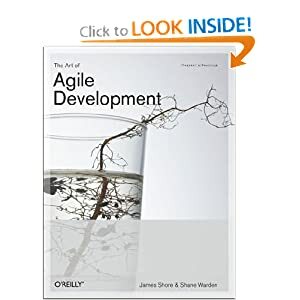 during my speaking at Oredev Conference, I got to meet James Shore, author of The Art of Agile book. I’ve known him only through reputation and his book, so when he offered to pair with him for a series of short Let’s Play TDD screencasts, I was excited to join in the fun. It’s been a long while since I’ve done java, and I’m certainly not a mac guy (just getting into Ubuntu, actually), but it turned out to be quite interesting and entertaining. James is a smart guy and his views on how things get to be where they are are at the very least interesting. In fact, after looking more into it, I think he’s got some interesting comments hidden indie these screencasts. be sure to look for hidden gems. Episode 48 – where James mostly shows me around the current spike he’s done so far, and we being to write the first test. Episode 49 – where we try to write the first test for the new UI. This is really us finding the “pattern” in which to write the real unit test, and make it somewhat readable. We then somehow fail to make it pass. Episode 52 – where get the production code working for real.